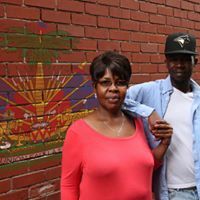 A Caribbean offering of a Haitian variety. Add it to your list of things to do in Cornwall March 31st through June 30th and bring the kids too. Kids under 12 eat free under the Classic Canadian dish option, 1 child per adult and until food lasts. 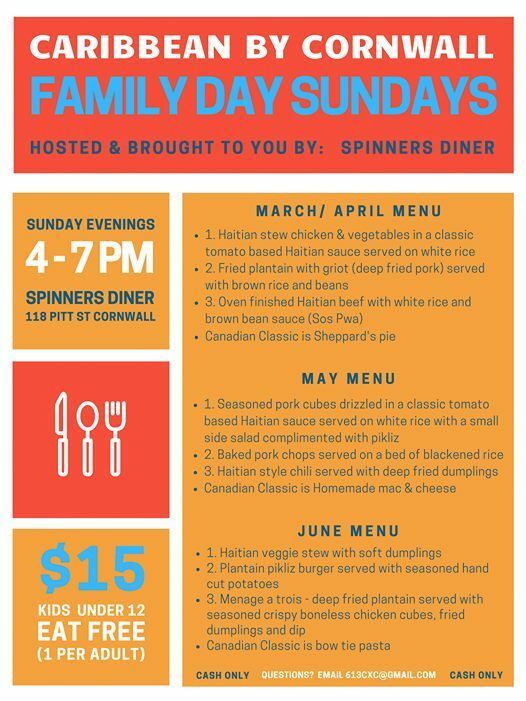 Starting on March 31st and every Sunday thereafter, Caribbean by Cornwall is teaming up with their long time partner, Spinners Diner in Cornwall, offering 4 different options at a fixed price of $15. It will begin at 4pm until 7pm. It will run until June 30 and you are invited. 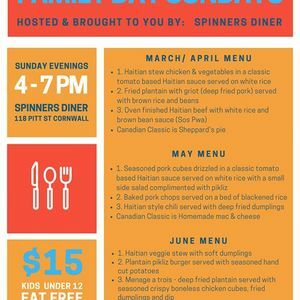 Be sure to stop by their Facebook page, Caribbean by Cornwall and don’t forget about Family Day Sundays!